Coinolix is a blockchain-based cryptocurrency exchange platform that provides trading services for a wide range of established and new cryptocurrencies, including BTC, ETH, DASH, LTC, USDC, etc. 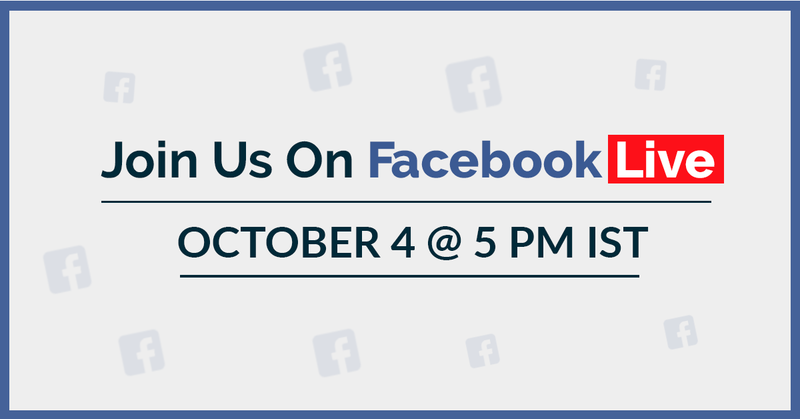 If you have heard about the project and want to invest in the Coinolix token sale, which goes live from October 8, 2018, you would be happy to know that the Coinolix team, including the CEO (Mr. Prasanna Puniwala) and Co-founder (Mr. Rajesh Vora), will be live on Facebook tomorrow (October 4) at 5 pm on the official page of Coinolix, so you can connect there and feel free to ask any question that you may have about the project. This is a great opportunity for all potential investors and crypto enthusiasts who are wondering about the Coinolix project, which is presently in the ICO stage. Grab this opportunity to meet the team of Coinolix and get your ICO questions answered by the experts. Prasanna Puniwala is the Chief Executive Officer and co-founder of the Coinolix project. He will be leading the Facebook Live talk and will answer all the questions of users and investors about the project, the token and the ICO. Rajesh Vora is the Chief Technology Officer of the project. He belongs to a technical background and has a vast experience in the industry. He would be there to answer your queries about the technical aspect as well as the security part of the Coinolix platform. This will be a time-sensitive live session where the potential investors and users of the Coinolix platform will get the opportunity to meet with the project team and ask their questions to them. The private sale of Coinolix is under process and will end on 7 October 2018, following which the pre-sale will begin on 8 October 2018. The sale of Coinolix (CLX) tokens will be held in three phrases — private sale, pre-sale, and crowdsale. The main crowdsale of Coinolix will be held from 8 November to 13 December 2018. Those, who are interested in joining the sale or want to invest in the ICO, are requested to visit the website for details. All potential investors of the project are cordially invited to attend the Facebook Live conversation with the company founders and get their questions solved.